Yep, you read the title correctly. I bring to you another vegan mac n cheese review. I think we could start our own blog about vegan mac n cheeses. 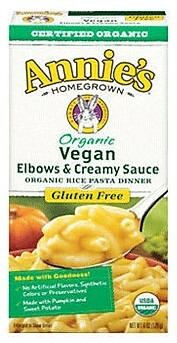 The market is starting to get a little saturated with vegan mac n cheeses. I’d like to say this is a good thing. I’d like to jump for joy and say that you could go into any grocery store in anytown, U.S.A. and get a good box. However, that isn’t the case. Daiya, one of the best, is making its way into mainstream stores like Kroger. That just isn’t good enough. When Food Lion starts carrying mac n cheese that is vegan, I’ll officially jump for joy. The other issue is the quality of the mac n cheeses. So far the good ones are Daiya, Earth Balance and Pastariso. Then, there are the ones that I’d rather not eat like So Delicious, Annie’s and now Namaste. 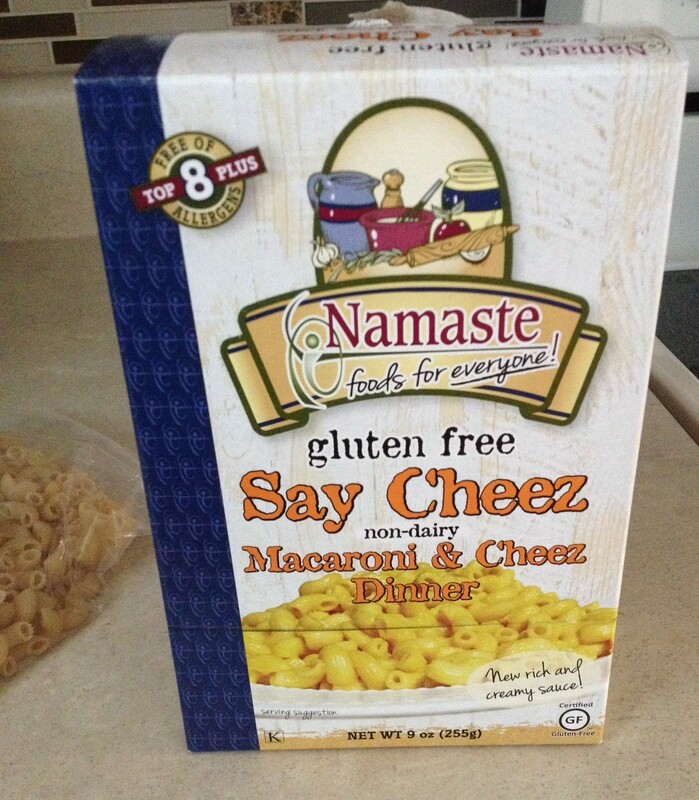 I found the Namaste Say Cheez box at a small specialty store and I was excited because I had remembered liking the products that I’ve tried in the past. We decided to make it one day for lunch on a weekend and as I was making it, I gave it a taste. The product didn’t taste all that edible, so we added cut up tomato, spinach and hot sauce to help it “go down”. It did not taste cheesy at all. It looks like mac n cheese, but it didn’t taste anything like I was hoping. 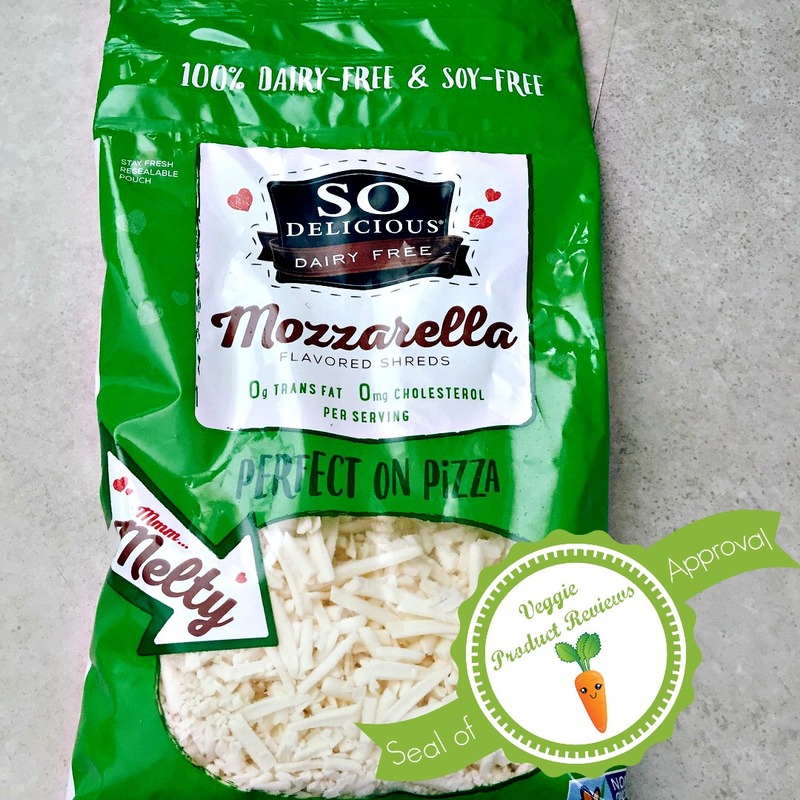 I noticed the product was made with rice milk and if you have a lot of allergies, this might be the mac n cheese for you. However, in terms of vegan and gluten free mac n cheeses, I’d save my money and try another brand. In the past year there has been a welcome influx of vegan mac n cheese options. That’s a-okay by me, I am always up for pasta with vegan cheese sauce. My last post about mac n cheese was a negative one. Today, I have one that is delicious to share with you. 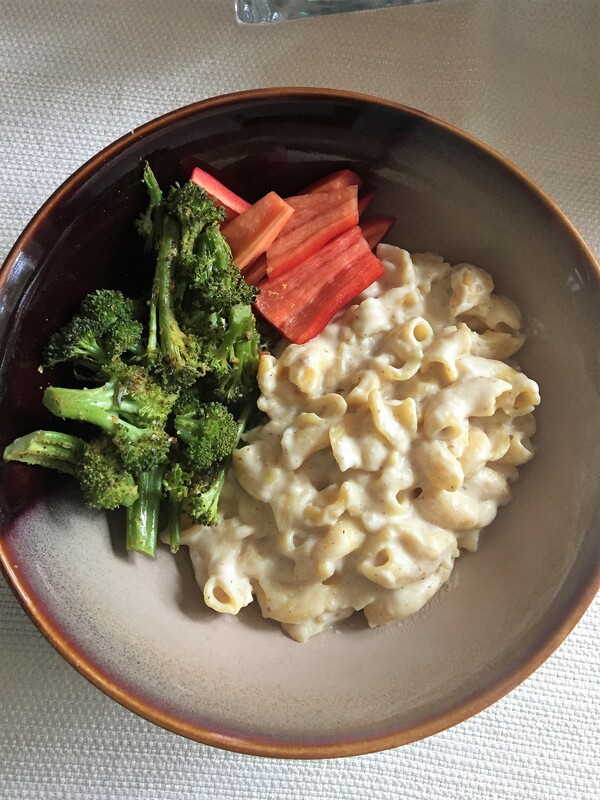 Say hello to Gluten Free Cheddar Mac & Cheese made by Earth Balance. One of the things many things that I enjoyed about this product was the shape and taste of the pasta. The shape reminded me of the non-vegan popular counterpart from my childhood. It might be silly, but it is what I’m looking for in a vegan mac n cheese. I want to be drawn back to summer days of my childhood eating mac n cheese at my best friends house. I was pleasantly surprised by the flavor of the sauce. It had a cheesy taste and a nice orange color, just like you would expect from a boxed mac n cheese. I can envision kids enjoying this product just as much as the popular non-vegan brand. The bonus with the Earth Balance one is no cruelty or chemicals! The only drawback is that I had to order this online because I couldn’t find the gluten free one in stores near me. Hooray for Amazon Prime! Today’s Vegan Mofo theme has me thinking of mac & cheese. I’ve made many vegan ones in my day, both my own recipe and recipes from friends and other bloggers. While I don’t necessarily have a favorite food, mac & cheese would be among the top. When we want a go to meal we make greens and my tried and true recipe. Bonus- it lasts us several meals. I could make the recipe with my eyes closed. Sometimes, though, you just want something easy. Our world is one of conveniences these days and vegans aren’t left out. Even vegan gluten freers! I’ve seen several options on the shelves and in online stores. 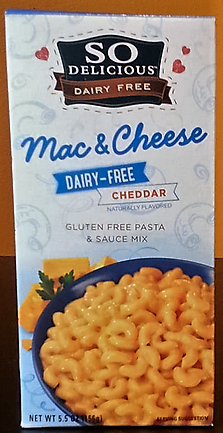 A top contender for these choices is Earth Balance Vegan Cheddar Flavor Mac & Cheese. 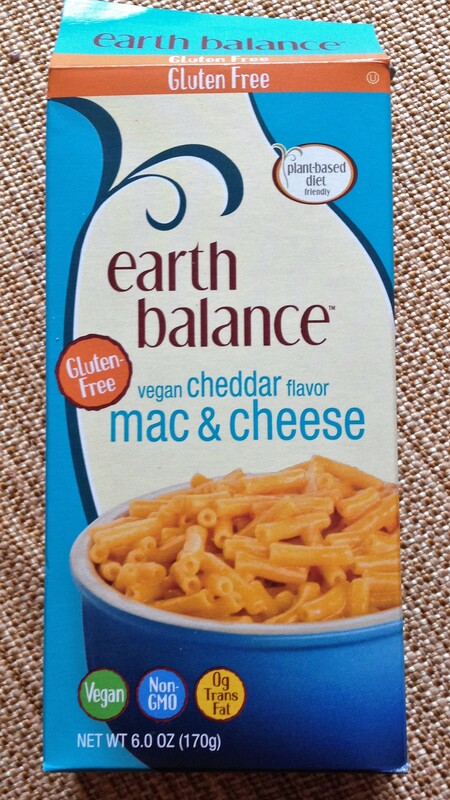 There are several mac & cheese products by Earth Balance, but I’ve only tried the gluten free one. I had to order it online and it turned out to be a great purchase. This treat was delicious and also quick and easy. Score! The cooking instructions reminded me of the popular non-vegan brand that I ate as a kid. 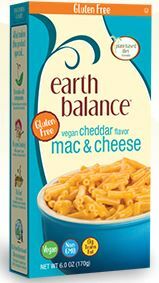 Even though it has been many years since I’ve had the popular non-vegan brand, I can say the Earth Balance version was better. It was creamy and didn’t have a chemical aftertaste like the brand of my childhood. Best of all, it’s cruelty free! I think it might be a good thing that I haven’t seen it on the shelves of our grocery stores because I fear I’d buy it too much!